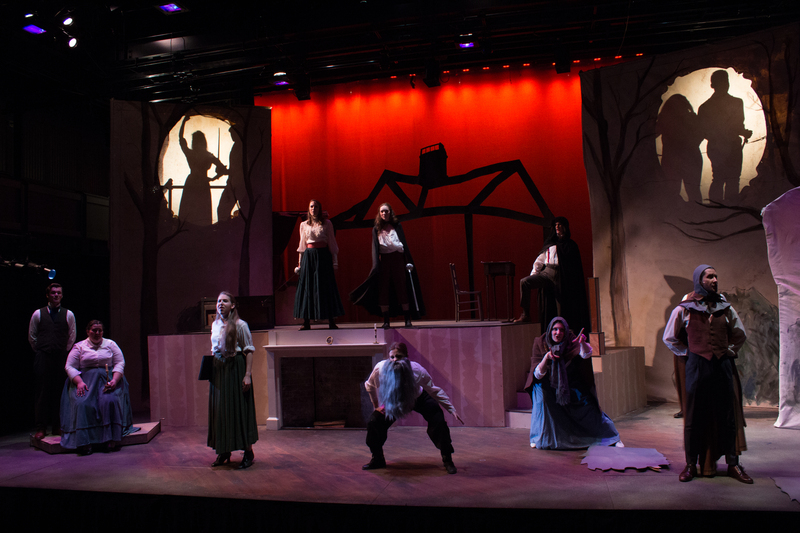 Little Women, the Musical at James Madison University in Harrisonburg, Virginia. As a nostalgic reflection told from Jo’s perspective, the design reflected the nostalgia Jo feels for her childhood memories and family, juxtaposing the hardships she faces. The world of Jo’s stories (Operatic Tragedy and Weekly Volcano Press) shifts into a more magical, illusionary style with more saturate color and sculptural looks. Shadow play was also utilized for a series of vignettes throughout the show, including as bookends.